USA Triathlon is hosting its inaugural Paratriathlon Coaching Certification Clinic now through July 16 at the Elite Athlete Training Center in Chula Vista, California. The program, the first of its kind both nationally and internationally, will equip participants with the specific skills to coach paratriathletes of all classifications safely and effectively. 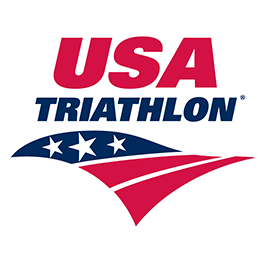 Eight coaches from across the country, each of whom are current USA Triathlon Certified Coaches and have experience working with paratriathletes, are set to attend the clinic. The schedule includes two and a half days of classroom lectures followed by three days of athlete observation and interaction at a high-performance USA Paratriathlon National Team training camp. The classroom sessions will be led by USA Triathlon Certified Coaches Christine Palmquist (Level III) and Wesley Johnson (Level II), both of whom served as coaches for the U.S. Paralympic Triathlon Team in the debut of the sport at the Rio 2016 Paralympic Games. Palmquist is the head coach of the Chicago-based youth Multisport Madness Triathlon Team and has 18 years of experience bringing athletes to success at the regional, national and world levels. Johnson is the owner of BAM Fitness in Sandy, Utah, and the personal coach of 2016 U.S. Paralympic gold medalist and 2017 ESPY Award nominee Grace Norman. Palmquist and Johnson also coauthored the Paratriathlon Certification Manual to be used during the clinic. USA Paratriathlon National Team Head Coach Mark Sortino (Level III), based in Boise, Idaho, and Keri Serota (Level I), co-founder, executive director and coach at Dare2Tri Paratriathlon Club in Chicago, contributed chapters to the manual as well. Lectures will cover a variety of topics, including International Triathlon Union rules and classification; swim, bike and run modifications; USA Paratriathlon programs and athlete pathways; periodization and planning; and nutrition and travel considerations. The clinic is also supported by U.S. Paralympics, a division of the U.S. Olympic Committee, with dietitians Jacque Scaramella and Elizabeth Broad, sport psychologist Sara Mitchell, physiologist Sam Gardner and U.S. Paralympics Managing Director Julie O’Neill Dussliere all playing key roles in the planning and execution of the program. For more information about the USA Triathlon Paratriathlon Coaching Certification Program, visit usatriathlon.org.